I went into Bath and Body with a gift certificate wanting to buy some silicone cup cake pans, but alas they don’t sell them in the store. 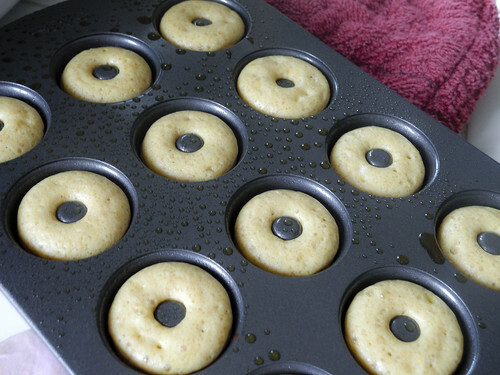 I looked around and I found donut pans! My boys have been going over to the store every weekend getting donuts. I knew I could come up with a healthier option! 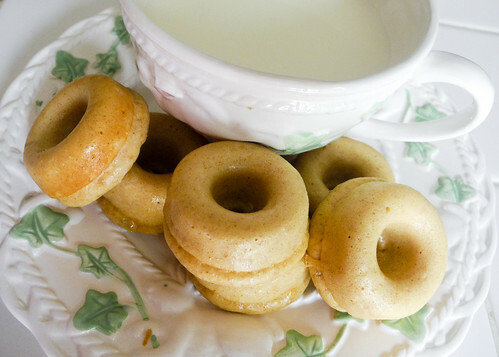 To make baked goods healthier I like to make them with at least 1/2 whole wheat flour and if I can add protein powder. That way you get more fiber, more nutrients and more protein. This is my base recipe so expect to see some fun combinations to come in the future. Mix flours, protein powder and baking powder in large bowl. In small bowl mix eggs, vanilla, sweetner, and greek yogurt till smooth. 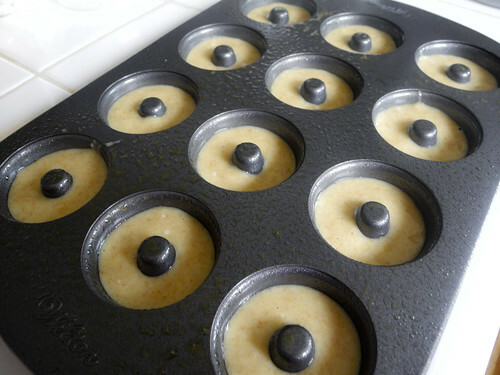 Pipe batter into donut pan. Hint: I used a sandwich bag and cut corner off bag. Bake for 3-4 minutes – do not overcook or will become dry.